August was just amazing month whale watching here from Dalvik close to Akureyri north Iceland. At least three humpback whales in every whale watching tour. August was just amazing month whale watching here from Dalvik close to Akureyri north Iceland. At least three humpback whales in every whale watching tour. 100% record of not just sightings but humpback whale the one we want to always see and it is most fun to watch for passengers. We were thrilled this months whale watching as we were seeing up to 25 humpbacks around us managing to watch up to 15 of them. Many tours had around 10 humpback whales watched so for passengers ten different flukes. In August and late July we operated from Dalvik but started on a bus driving us closer to the whales in Hjalteyri. 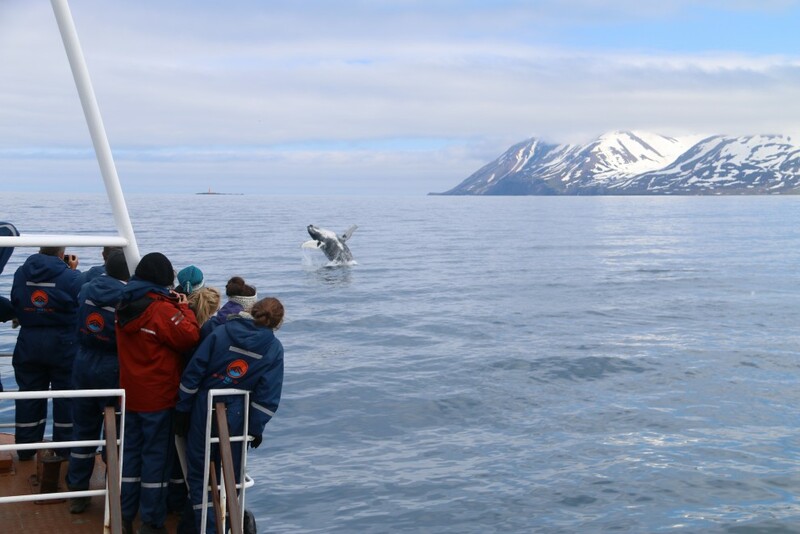 This operation was very unusual but we always do our best for our passengers and if we know about a humpback whale party like was in Hjalteyri then we change our operation and give people chance to witness a real whale party. I can say for sure people really appreciated it as having four or five humpback whales around the boat and every where you looked you could see a spout or a fluke going down. You can not show such a thing in picture or video, you have to experience by your self. So for august this year it was wow wow wow amazing tours. Best on offer in whale watching quite and simple. 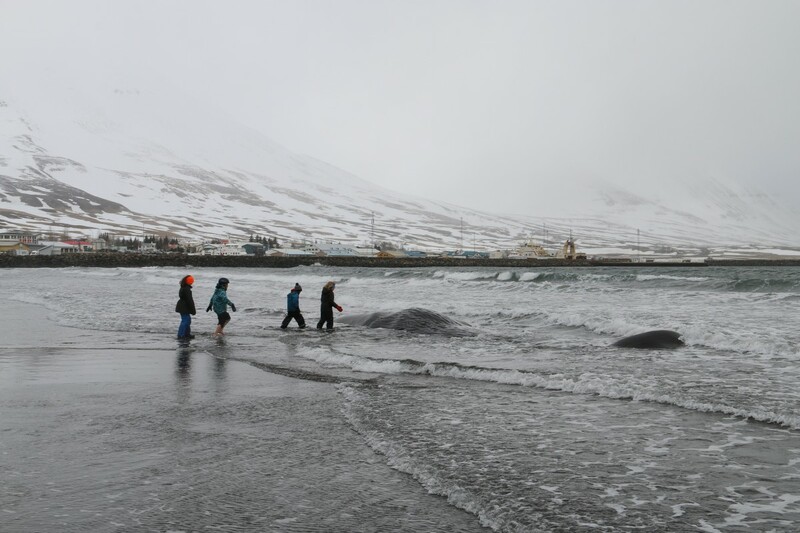 Sperm whale washes up close to Dalvik on 5th of may. Only about 2 minutes walk from our ticket office the 13 meters sperm whale lied on the beach. June is usually the best month to experience the breaching humpback whale. This early part of june has not disappointed with many sightings of a breaching humpback whales. 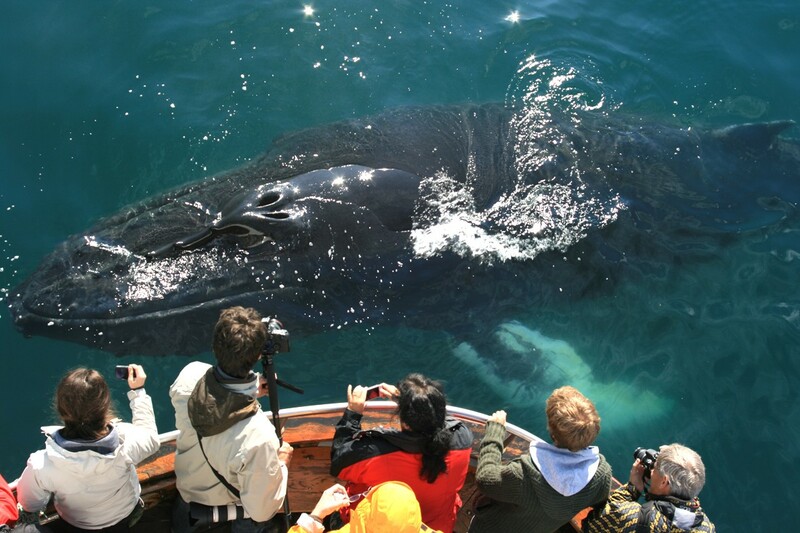 Eyjafjordur is rising above as the best whale watching destination in Iceland. Arctic Sea Tours are at the forefront offering whale watching tours all around the year, the only company in north Iceland.